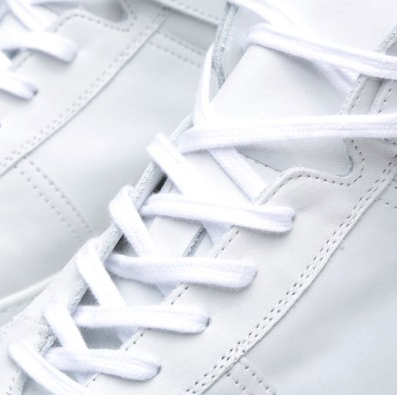 So one of the main reasons I love a clean white high top in the summer is that it's an anchoring piece. 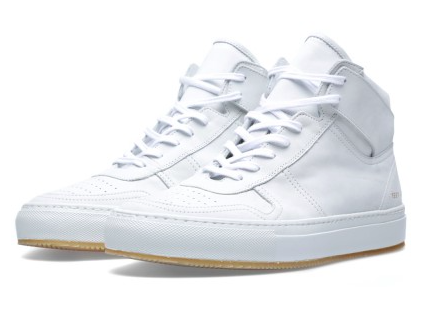 White is the quintessential color of the season and on a good simple high top you can use them to create balance for shorter shorts or just use them to finish off a colorful outfit without getting all 'matchy'. 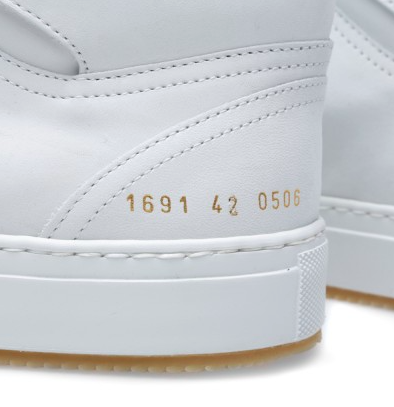 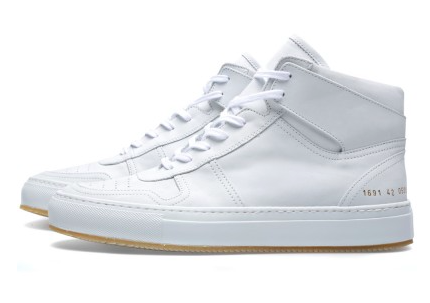 This B-Ball High Sneaker from Common Projects is a very clean and crisp one for the season. 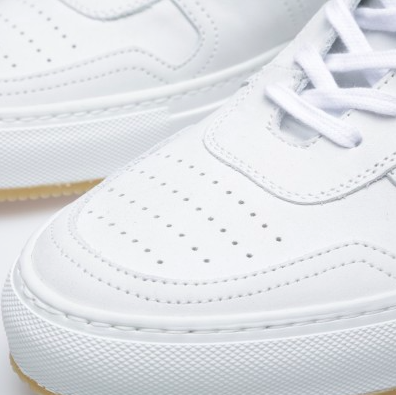 Executed in pristine white leather with a paneled upper, gum sole outsole and precise topstitching, this shoe brings a little bit of sport, summer and sexiness to the table. 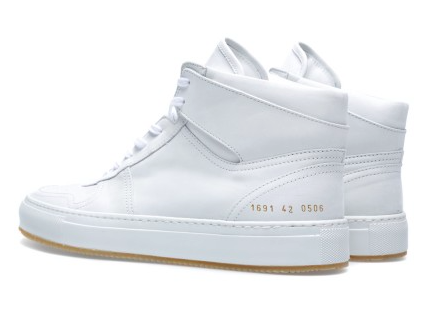 Available now at EndClothing in the UK.